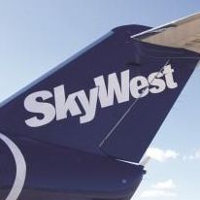 In a special meeting Monday evening, the Liberal City Commission chose Sky West Airlines to be Liberal’s new Essential Air Service provider. The Commission voted 5-0 to recommend the airline to the U.S. Department of Transportation. Six carriers submitted bids to the DOT. Others that submitted proposals were Boutique Air, Great Lakes, Key Lime Air, Silver Airways, and SkyValue Airways. The EAS contract is expected to be awarded in September or early October. Sky West will offer 2 round trips daily to Denver. One will depart Liberal at 6:00amCST, have a stop in Pueblo, and arrive in Denver at 7:25am MST. There will be a non-stop flight that will leave Liberal at 4:45pm CST and arrive in Denver at 4:55pm MST. There will be a flight leaving Denver at 8:10pm MST, stopping in Pueblo before arriving in Liberal at 11:30pm CST. Service is anticipated to start in January-February. Sky West, a division of United Airlines, will be utilizing a 50 seat aircraft.